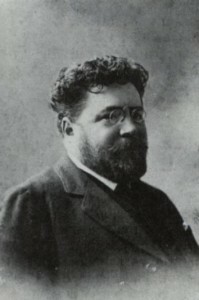 Gaston Leroux was born in Paris in 1868, the son of a building contractor. He trained as a lawyer, but it was as a journalist that he made a name for himself, developing in the process the investigative methods that he would later attribute to some of his characters. Following his ground-breaking coverage of a notorious trial in 1894, he was invited to join the staff of the leading newspaper of the time, Le Matin, to which he contributed many a scoop. His first novel was serialized in the late 1890s and in 1907 The Mystery of the Yellow Room launched his career as a pioneer of the French detective novel. One of the most flamboyant and prolific writers of popular fiction, he died in Nice in April 1927.